The wolverine’s scientific name means “glutton,” referring to the habits of this insatiable weasel. Other adjectives applied to wolverines: hyperactive, cunning, ruthless and stinky. Whatever they find: mostly dead animals and medium-sized mammals such as squirrels, hares, skunks and foxes. Cool northern forests and tundra across North America, Asia and Europe. They prefer snow where their large feet keep them agile while slowing their prey. Wolverines are remarkably strong and ferocious for their size. Although not the best hunters, they have been known to kill animals as large as a moose. Historically found in Minnesota, wolverines were trapped to the edge of extinction in the early 1900s for their fur. If seen in Minnesota today, they are usually visiting from Canada. For more information visit the Wolverine Foundation. Because frost doesn’t build up on the long hairs of wolverine fur, Arctic hunters preferred it for trims on the hoods of their coats. In a recent study in Glacier National Park, an individual ascended 4,900 vertical feet in 90 minutes. Few animals will fight the ferocious wolverine. Although they are small, adults have no real natural predators—even wolves and grizzly bears have been known to get out of their way. 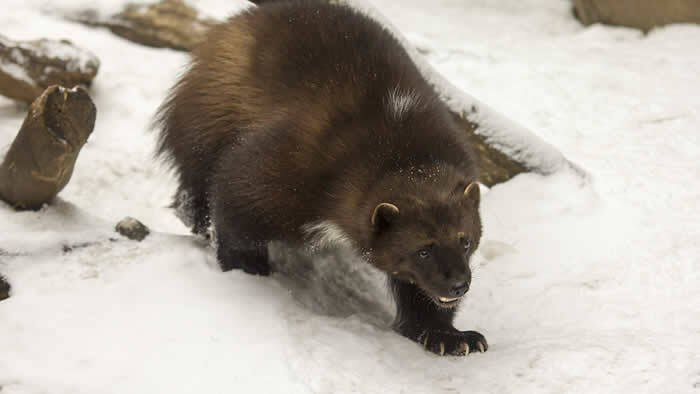 Wolverines look like a cross between a weasel and a bear. Because of the strong smell of their musk and bear-like appearance, some native peoples call wolverines “skunk bears”. Adult male wolverines have large home ranges—up to 400 square miles. Adult females use smaller areas—up to 200 square miles. 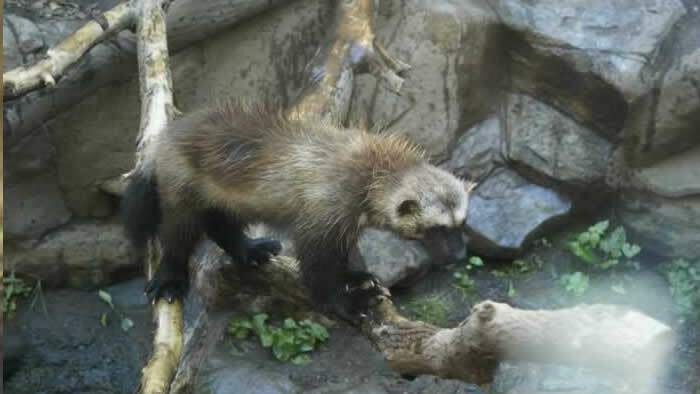 The wolverine is considered vulnerable throughout its range. 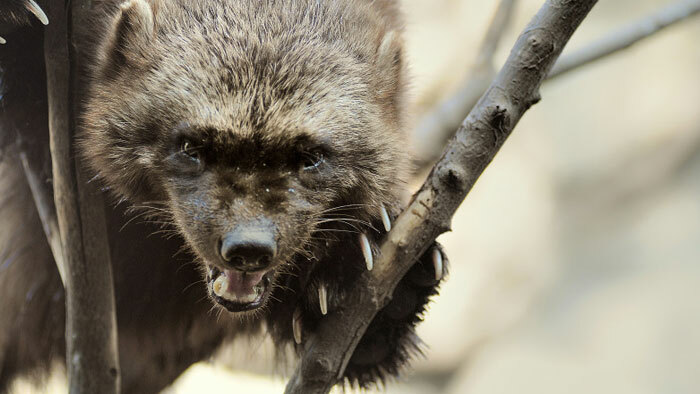 The status of wolverine populations is not known, due to the elusive nature of these animals. With the help of the Wolverine Foundation, researchers are currently attempting to get an accurate count of wolverine populations in southeast Alaska. They hope to study the preferred habitats of breeding females, learn more about how wolverines move about their territories, and find out how human disturbances affect wolverine populations. The project will use a variety of techniques to gather information, including infrared cameras to capture and identify wolverines in the area. The Minnesota Zoo’s Ulysses S. Seal Conservation Grant Program supported additional camera traps for this project in 2007.